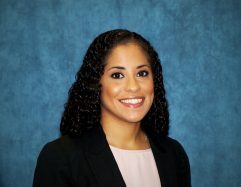 Frances L. Febres is Partner with the firm and practices in the areas of education law, labor and employment, and local government law. As part of her practice, Frances researches complex issues and provides support to clients, assists in proceedings before administrative and judicial tribunals and prepares employment and municipal contracts. Prior to joining the firm, Frances had developed diverse experience with administrative agencies and state courts. Specifically, Frances interned with Justices in the New York Appellate Division and civil trial court, as well as interned for a New York City agency where she participated in proceedings on the record. Frances also has experience with firm administration as she was a legal assistant prior to law school for small and large practices.